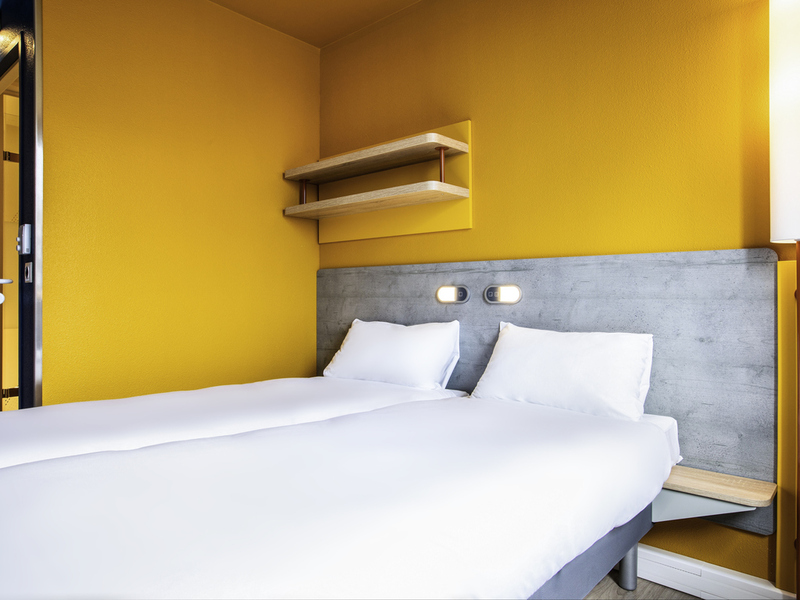 On the outskirts of Paris, the ibis budget Fontainebleau-Avon (formerly Etap Hotel) is situated 2.5 miles (4 km) from the Palace of Fontainebleau and the city center, and 3.1 miles (5 km) from the Grand Parquet racecourse. 72 air-conditioned Cocoon-style rooms for 1, 2 or 3 people at an affordable price, with bathroom and WC, duvet, satellite TV, free WIFI and enclosed car park. Unlimited breakfast buffet at a smart price. Discover the region's nearby long walks, simple strolls and climbing facilities.